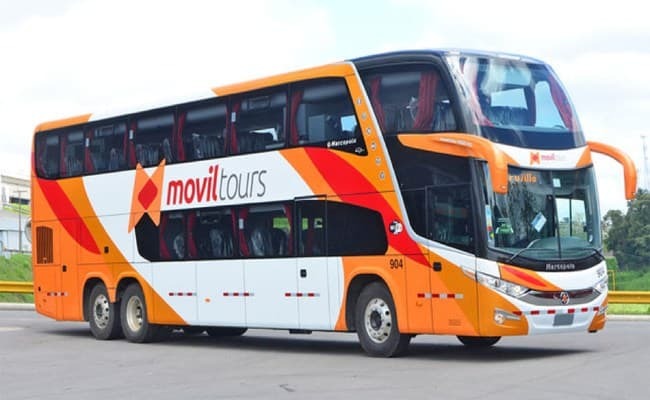 Travelling with Peruvian Bus Companies: 2019 updated information about the best bus companies, their routes and schedules. Find out all the information you need to know about travelling with Peruvian bus companies before you book your ticket with them through this helpful guide. There are many different bus companies to travel with in Peru. While some of the companies are considered quite luxurious, some leave a lot to be desired, both in terms of comfort and safety. Truth be told, you’ll more than likely be spending some time travelling on buses during your time in Peru. For that reason, we’ve compiled this guide on the best bus companies in Peru to know which you can trust. The Peruvian bus companies listed in this guide range from the top-end to mid-range. Starting from the companies that we think are the best and working down towards the companies that we recommend probably best avoiding, this list is in no way factually proven. It is only meant to give you an idea of the bus companies you can rely on to get you from place to place without causing you any problems and most importantly, getting you there safely. Travelling with the better companies will cost (slightly more) as they are the upper end, more luxurious buses. If you want to find out more information about one of the companies, click on their name to go to their website. Not all of the local bus companies websites are in English and clicked links will open in a new window. This the first and only hop-on, hop-off bus system in Peru covering the all of the destinations on the Lima to Cusco route. Peru Hop offers a flexible bus pass (50+ different options), in which you can stay however long you want in any of the destinations, letting you enjoy each at your own pace. Apart from this, there is on-board bilingual assistance on all of their buses, as well as discounts on accommodation and restaurants across all destinations. Peru Hop are one of the newest and best bus services around which started operating in October 2013. They bring a new and refreshing way to travel Peru, with their hop-on hop-off system going to and from all of the major destinations in Peru, allowing you to spend however long you want in any of the locations. Although quite new, they already have over 1,400 excellent reviews on their Tripadvisor page, which speaks for itself. Peru Hop are by far the safest bus company in Peru and Bolivia. They use 1-floor buses which is the safest option for travelling the bendy mountainous roads. As well as this, they avoid the dangerous Andes route on their way to Cusco and travel via Nazca/Arequipa which is a much safer route. Additionally, they pick up all of their passengers from their hotels/hostels in all of their destinations which is a huge benefit here in Peru, as you don’t have to get any unsafe taxis or travel to dangerous bus stations. As of yet, they don’t have stops to the north of Peru, but they are the most recommended service for people wanting to travel safely and discover Peru! 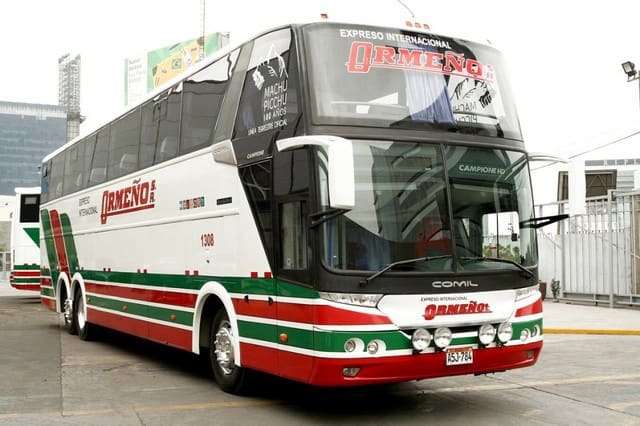 Being over 50 years old, Cruz del Sur is Peru’s biggest bus company. They are one of the most mentioned and recommended bus companies in Peru by locals looking to get from A to B. Most people say that they are comfortable and have excellent coverage throughout most of Peru. However, like most bus local companies, they are not always reliable and tend to get delayed often. Check their Tripadvisor page for more independent reviews about them or read more about Cruz del Sur. If travelling North they are recommended, however, if going South to Cusco, be careful as they cross the Andes (as do most other Peruvian companies) where hijackings and robberies are infamous. One of the Peruvian bus companies that divides opinions. When they’re good, they’re good; but when bad, they are said to be a big waste of money. Most of their journey follow on the Panamericana highway, with their routes going from Tumbes in the north of Peru, to Arequipa in the south. Generally, people say that Cruz del Sur is better because it can be slightly cheaper but, Oltursa still has a lot of loyal supporters. Reasonably priced, reliable and safe, another good option for bus travel around Peru is Civa. Civa’s coverage ranges all the way from the Ecuadorian border in the north of Peru down south as far as Chile. They also have coverage to places further inland to destinations such as Tarapoto and Puerto Maldonado. Receiving a lot of criticism recently, Ormeño is one of the companies on this list which had the potential to be at the top a few years ago. They charge the prices of a premium, luxurious bus company but due to their recent customer service standards, they have been said to be overpriced. However, with offices in 8 countries, they cover most of South America. 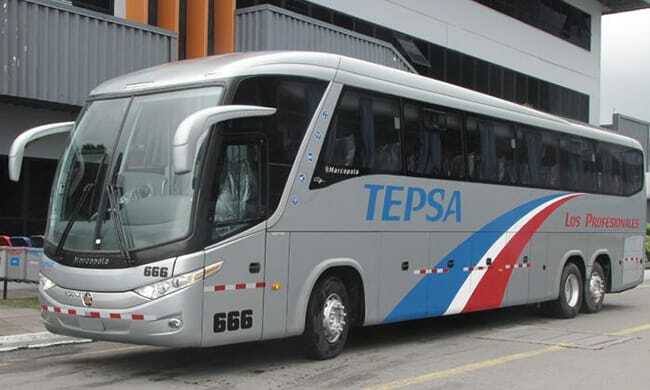 Started in 1953, TEPSA is one of the oldest existing Peruvian bus companies. TEPSA have been going up and down the coast for many years and are a good option for destinations along the coast and further in towards Cusco. Movil Tours have a variety of options on offer when it comes to price. They have reasonably good customer service and are reliable. Arguably, they are one of the best choices if heading up towards the north of Peru or to Peru’s biggest inland cities (Huancayo, Tarapoto, Cajamarca etc). Before booking, make sure to check out their tripadvisor page to ensure you want to travel with them as they have some negative reviews. If you’re not bound to a fixed itinerary or, alternatively are looking to see as much as possible in the least amount of time possible and are plan on travelling around the South of Peru, then Peru Hop is the only company we can recommend after reading their TripAdvisor reviews, Facebook page and other online reviews. The hotel and hostel pickups are a nice bonus to avoid having to take local taxis or travel to busy public bus terminals, as well as the extra stops which allow travellers to see more of Peru compared to public buses who just bring you from A to B. If you are looking to compare the prices of local bus companies, it is recommended to use Redbus. Did you know - The Lima Walking Tour leaves from the Tourist Information Center at 799 Avenida Jose Larco in Miraflores every day at 10:15 am. Visit our Blog for more information! The Only Peru Guide Copyright © 2019. Get your FREE sample trip plan from our TheOnlyPeruGuide travel experts! Used by 60,000+ TheOnlyPeruGuide Readers!